The Woking team will announce in the coming days the arrival of two new sponsors, who join the five that signed in 2018. How many more fans we have, more sponsors we will have. And the more sponsors we own, the more money we will receive. 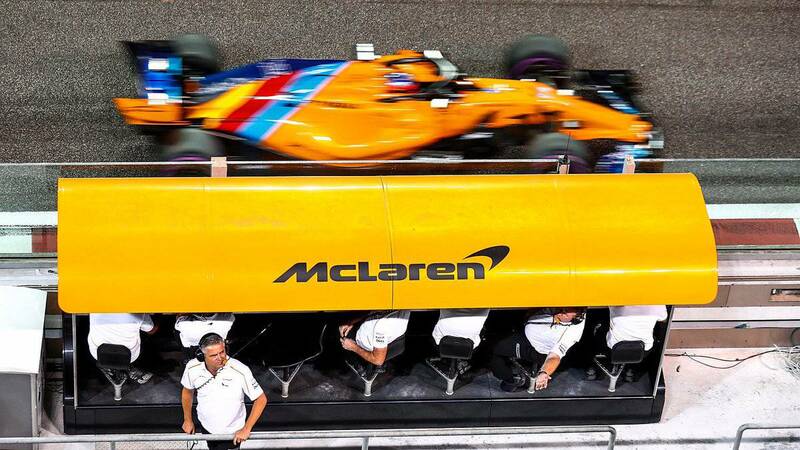 This was the slogan that Zak Brown announced he was going to execute to boost McLaren's finances three years ago on the occasion of the Abu Dhabi Grand Prix. A slogan that until last year Brown could not begin to develop, since the Woking team lost, only between 2015 and 2016, more advertisers than in all its last decade due to the lack of reliability and power of the Honda engine. Five were the new partners who wore their names on the body of the MCL33 thanks to the swap to Renault, a progress that will continue this year with the arrival of two new companies before the end of January: "It is harder than ever The brands are a little nervous about investing in the long term because something can happen and that can mean something, that slows down and puts everything on hold We were lucky to sign with five new partners last year and we are going to announce at least two others this month, so we progress. We have not stopped, but this global situation has slowed things down and the madness that there is in the world does not help ", assures the former North American pilot in 'Crash.net'. Good news for Carlos Sainz and Lando Norris in a season marked in red for the team in the southeast of Great Britain, since the British want to begin to reduce the distance that separates them with the front of the parrilla through a new organizational chart where figures like Andreas Seidl or James Key stand out.